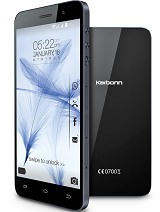 I have bought this phone from amazon.in at lowest price 5999/- rs. only... It's looking great and there is no any promblem seen yet... love it ..
Shaa, 14 Oct 2014A very very very very poor camerais it tooo worst quality??? could u send me 1 pic?? it's quite good except for the camera problem dose'nt really look like 8mp.except for this its cool. i m confused. should i purches it ? there are lot of review here. 50% saying gud and the same said it is bad what would i do. Mahak, 03 Oct 2014Heyyy frndzzz, my request to all of u is this that plzzz anybody tell me does this phone suppo... moreGoto settings click display and then click fixed navigation bar.. It will tick out then the bar is hide then u can able to send a pic whn bar is hide ..
then u can able to send a pic whn bar is hide ..